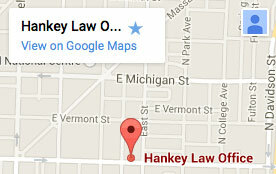 Hankey Law Office > FAQs > Who is eligible for Social Security Disability Insurance? Q: Who is eligible for Social Security Disability Insurance? A: Social Security Disability Insurance (SSDI) is provided for Americans who qualify in the event that they become disabled and are unable to earn an income. The majority of people who are eligible for these benefits are those who pay Social Security taxes while working and have a disability that meets the requirements of the Social Security Administration’s disability listings or other, alternative qualifications. Additionally, there are special cases in which other people may qualify and these include people who are blind, the widow or widower of a qualified worker, and certain disabled children. If you are unsure whether you are eligible for SSDI benefits, contact the Indiana Social Security Disability attorneys of the Hankey Law Office, by calling (800) 520-3633 today.